After sharing Ileana’s remarkable story about not knowing she was pregnant until she was in labor, Dr Oz turned to a woman named Stephanie. She had given birth three times and had three normal pregnancies until the fourth time. She experienced no symptoms, had what she thought was a period every month, and didn’t gain weight. 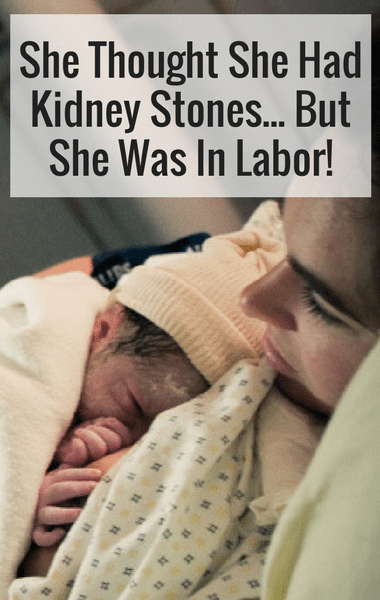 But then suddenly she experienced severe pain that she thought was the result of a kidney stone. She rushed to the hospital where they asked if there was any chance she was pregnant and she said no because she was on her period at the time.